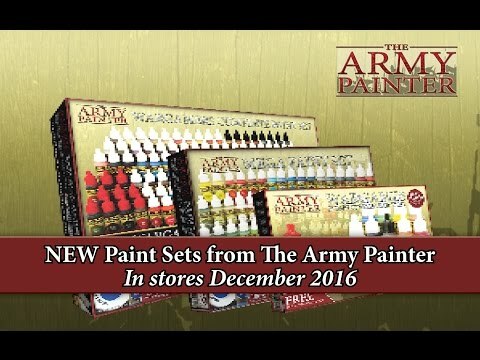 Welcome to The Army Painters web store and mail order service, here you can order all our products and even pre-order upcoming releases. Each product features full description, extra images and in some cases short description video. Please check our official How-to-Use pdf Guides for instructions and tips on how to paint your army and Get More Time for Gaming! Our web store currently offers service mainland USA at a shipping cost of $7.99. We pick and ship out all orders within one or two working days. Shipping time depends on destination. All orders over $65 gets FREE SHIPPING!